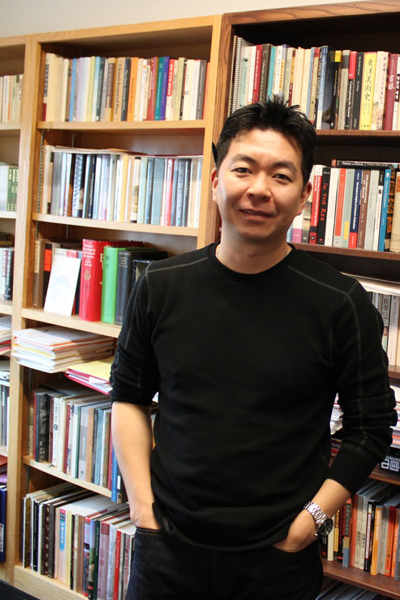 J.P. Park’s research interests touch upon a wide spectrum of art historical materials ranging from ancient tombs in North Korea to contemporary art in China. His first book, Art by the Book: Painting Manuals and the Leisure Life in Late Ming China (University of Washington Press, 2012) discusses how the genre of “how-to-paint” books can be productively examined as a key element in the larger cultural matrix of the early modern China, not only in terms of the knowledge and practice of art, but also as a register of social changes, gender issues, fashion, leisure, and conflicts of taste. He has also authored an exhibition catalogue, Keeping It Real: Korean Artists in the Age of Multi-Media Representation (Workroom, 2012), wherein he illuminates the concept of “post- globalism” as an alternative channel of historical analysis. His latest book is on early modern Korean art, A New Middle Kingdom: Chinese Art and Cultural Politics in Late Chosŏn Korea (1700–1850) (University of Washington Press, 2018). He is preparing another manuscript, tentatively titled, Presence in Absence: Documents, Forgeries, and Myth-making in Chinese Art. 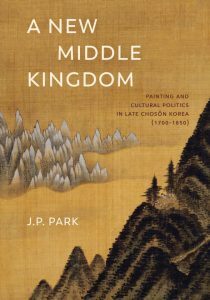 A New Middle Kingdom: Painting and Cultural Politics in Late Chosŏn Korea (1700–1850). Seattle: University of Washington Press, 2018. Keeping It Real! : Korean Artists in the Age of Multi-Media Representation. Seoul: Workroom, 2012. Art by the Book: Painting Manuals and the Leisure Life in Late Ming China. Seattle & London: University of Washington Press, 2012. “Print as Nexus: Art, Print, and Cultural Discourse in Early Modern China,” in A Companion to Chinese Art. eds. Martin Powers and Katherine Tsiang (Malden, MA: Wiley-Blackwell Press, 2016), 73–90. “似曾相识燕归来—20世纪80年代与21世纪头10年中国艺术,” 美术月刊 (June 2013): 62–65. “Max Loehr, James Cahill, and the Flying Dragon: A Moment in Chinese Art History,” (co-authored with James Cahill) Orientations (September 2011): 99–104. “The Cult of Origin: Identity Politics and Cultural Capital in Contemporary Chinese Art,” Yishu: Journal of Contemporary Chinese Art 9, no. 4 (2010): 63–72. “Nostalgia for Homeland and Lamentation over Lost Power: Oxherd and Weaver in Dokhung-ni.” Orientations 35, no.5 (July 2004): 32–38.